Outback 2-Tone graphics stripe kit. Available by the side, complete kit or both front fenders. Side - $95, Complete - $165, Front Fenders - $65. 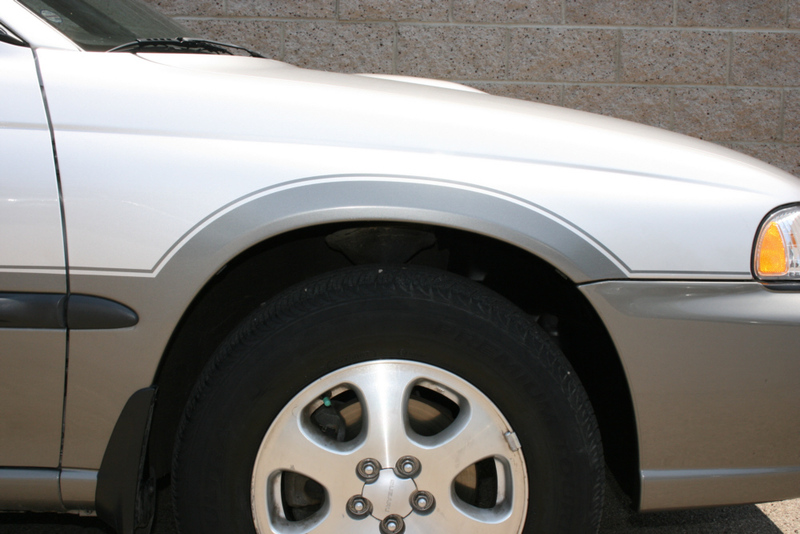 This is the vinyl stripe above the body side molding and over the wheel well that covers the painted 2-tone. Available in Silver, Lt Gold and Charcoal.